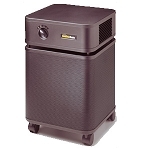 An air purifier is a machine designed to remove contaminants from the air. 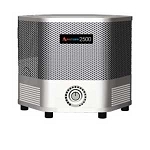 These air purifying machines can be beneficial to allergy sufferers, asthmatics and anyone who is sensitive to airborne contaminants. They are also effective in reducing or eliminating second-hand tobacco smoke. 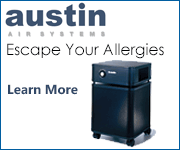 Indoor air contains many pollutants, such as dust, pollen, pet dander, mold spores, and dust mite debris. These pollutants can act as allergens, triggering allergies in sensitive people. 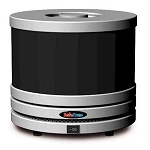 High-Efficiency Particulate Air or HEPA air filter must satisfy certain standards of efficiency such as those set by the United States Department of Energy (DOE). To qualify as HEPA by US government standards, an air filter must remove 99.97% of all particles greater than 0.3 microns from the air that passes through it. HEPA filters are designed to arrest very fine particles effectively, but they do not filter out gasses and odor molecules. 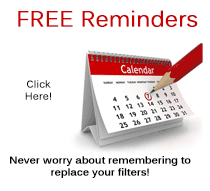 If you require filtration of V.O.C. 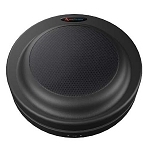 's volatile organic compounds, chemical vapors, cigarette, pet odors, you should use of an activated carbon (charcoal) filter in addition to a HEPA filter. 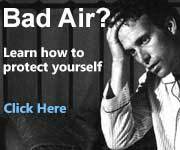 The first thing you should think about when selecting your air purifier is, the size of the room you need to clean. 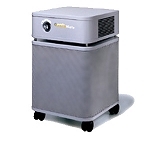 You will want to choose a machine that is capable of cleaning the air several times per hour. For example if your room is 10 foot by 10 foot, with 8 foot high ceilings. Your room would be 800 cubic feet. 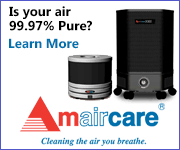 If you purchase an air cleaner that cleans 100 cubic feet per minute, you would be purifying your air every 8 minutes. The more air changes per hour the purer the air.